Couple rings are usually a symbol of love, worn to show off to the world that you are a couple in love. They are worn on engagements, weddings, Valentine’s day or some couples even wear them while dating. Being in a relationship is a wonderful thing! Weddings and engagements are joy-filled occasions which publicly declare one’s commitment to his/her partner. Wedding and engagement bands hold a lot of value to a couple who are madly in love as they are a symbol of their promise.. their eternal bonding and never ending love towards each other. I happened to visit the Mallabar Gold and Diamond jewelry store here in 4th Block, Jayanagar Bangalore last week and was appalled by the beauty of their exquisite ring collection. I felt like a lost Princess who discovers a stunning palace made of all riches. I liked some of the couple rings too but somehow the choice here was limited. I couldn’t find the couple rings which I had a vision of for my fiance’ and me. One of the sales person there informed me that they could make any design I wanted, I just had to give them a description or show them a picture and voila! The first thing I did after getting back home was searching for pictures of the best couple rings from all around the world. The result? I came across several stunning pieces of couple ring designs which can make any man/woman’s day if gifted to them! I handpicked 21 wedding and engagement ring designs which I totally loved from everything I saw and I am compiling a list of the same below for all you lovely readers to have a look at and grab inspiration from. 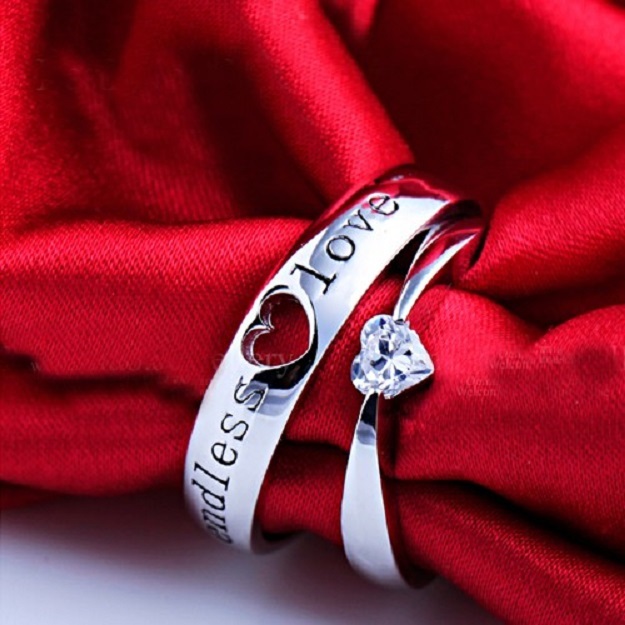 These couple rings are not only cute and adorable but they can also be bought at very low prices. Infact, you can even DIY some of them! Every ring set has a direct link where you can instantly buy them online. You can even get these designs customized on a budget from your preferred jeweller. Show her how she has left an imprint in your life with this adorable ring set design. Usually, a girl prefers floral patterns while the boy wants something plain and toned but both of them want their rings to match. The above design is the solution to such situations which allows both the boy and the girl to wear a different design yet one which matches. These bands are appropriate for a Spring wedding/engagement but would do great for any time of the year! If you love personalized jewelry and want to have your names engraved on your rings then you should definitely try out the online Indian personalized jewelry brand Augrav.com! What is so special about sound wave engraved wedding bands? 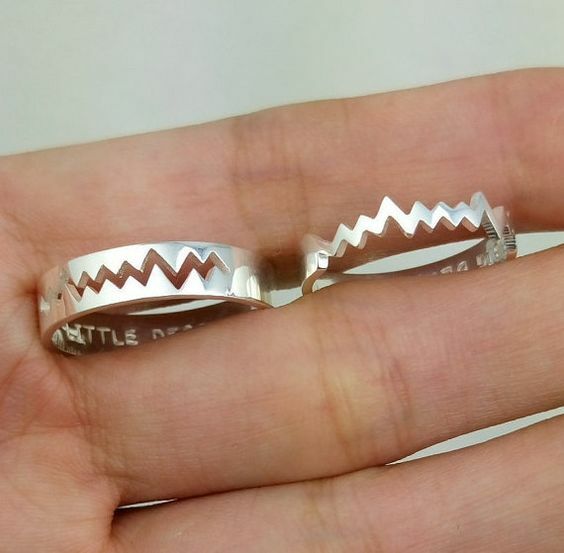 The above couple rings are very unique not only because you can get your names engraved but also because they have a sound wave engraving. You can record your special moments like the first time he/she said 'I love you' or 'I Do' and wear that loving moment around your finger forever. This is why they make for lovely wedding bands! This is another lovely deign you can get customized for your wedding. It’s a lovely way to live your own fairytale and be the King/Queen of your lovely little world. Tungsten is a metal famed for being extremely durable and rare. 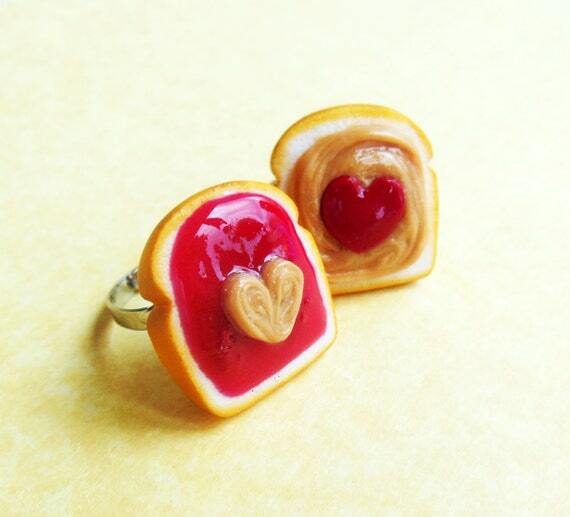 This is what makes it an appropriate choice for a wedding/engagement ring to signify your love. These rings are extremely scratch resistant in nature and come on a budget when compared to Gold and platinum rings. This will also make for a great meaningful wedding gift for couples. 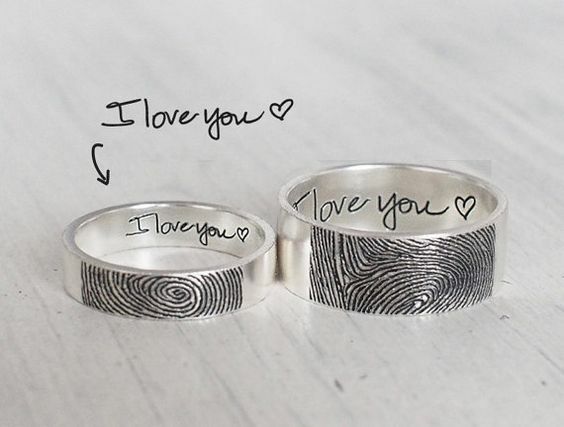 What can be more exciting than wearing your loved one’s finger print around your own finger?! Bring out that kid in you by choosing these Titanium engraved customized kissing Mickie and Minnie inspired rings. Buy from here. Show your undying love to your Beauty or Beast with this irresistible Disney Inspired Beauty and the Beast matching ring set. These are so cheeky and adorable! This lovely Platinum coated silver ring is perfect for a proposal or Valentine’s day gift. These two rings make a heart when joined and that’s why it’s a unique choice which holds a lot of emotional value to it! 🙂 It’s a great budget buy and will look lovely on your fingers! This design is some what similar to the above design except for the fact that the material used here is different. It has a more lovely appeal to it and I like this one more – Such an apt choice to celebrate love! 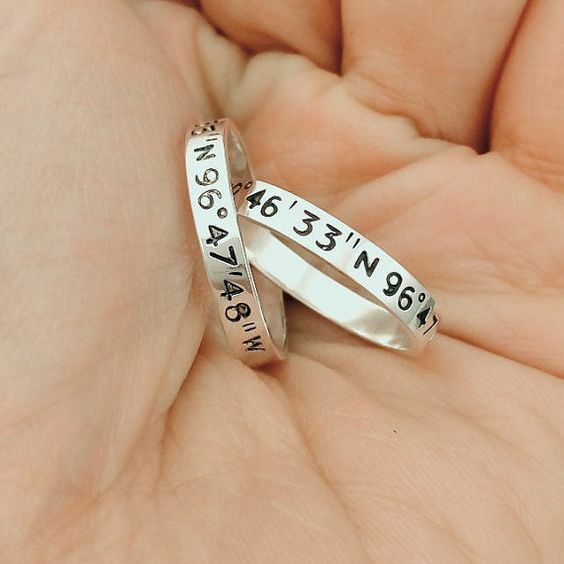 This ring set is a great gift idea for long distance relationships. 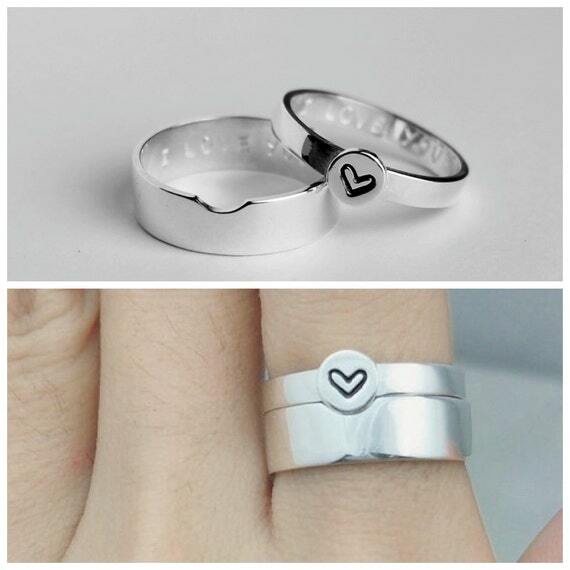 You can get these rings stamped with whatever you want to on both the inside and the outside. This matching couple ring set is yet another way to show off the divine intertwining of your hearts. You can get your wedding date or any other important date engraved on the inside of this ring set! Swarvoski crystals have been a preferred choice for couple rings from ages. Platinum is a rare and beautiful metal which is as eternal as your love for each other. These ‘glow in the dark’ Lume rings contrast with Titanium to create a visual moment that is simply irresistible! They are available in many colors and are very unique, crazy and simply awesome ring choice for an engagement! This is for fellow Potter heads who are die hard fans of fantasy tales like Harry Potter. If you love ‘Lord of the rings’ then you can get yourself the ‘one ring’ or something with a bitten apple engraving for Twilight fans! This reminds me of the sensational couple Khushi and Arnav from the soap ‘Iss pyaar ko kya naam doon’, their characters were like the Sun and moon, Khushi being a vibrant and chirpie woman while Arnav’s character is as deep as the night, reserved, short tempered and powerful. 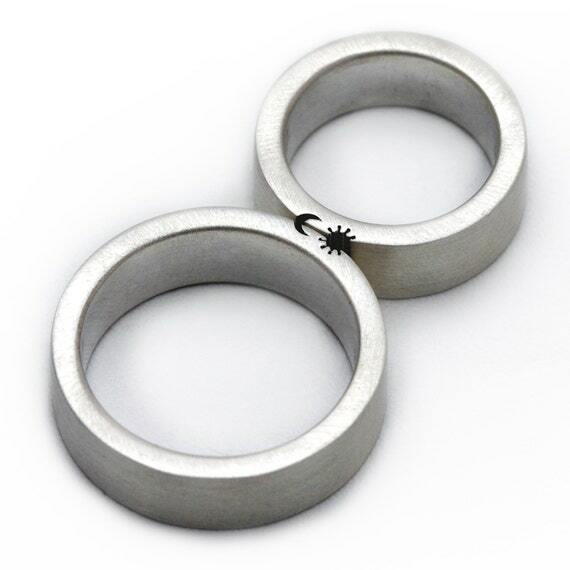 This connecting ring set will be a lovely choice for couples who want to portray the same. Yes, your personal love letter bound in a custom sterling silver ring – make it happen! This intimate and poetic piece is bound to truly take your partner’s breath away. Write a personal letter for your loved one to let them know how much they mean to you and make your bond even stronger! Another adorable design which has been a symbol of love for ages – love birds! This will again make for a unique and memorable gift for your loved one. You can even get your names or the nicknames you call each other engraved on the inside/outside of this charming ring set! Bushra M is a Professional Blogger, editor and creative content writer who loves shopping. She loves sharing her thoughts and ideas with the world. She is a shopaholic whose passions include Blogging, photography and chasing dreams.